This blog is primarily about the wild – the places, the creatures, the denizens, the heights and depths, the remote spots where life carries on pretty much as it always has, more or (increasingly) less independently from us. It’s a personal take on wild nature with posts on ecology, evolution, natural history and us, perhaps some short stories and poems, photos certainly, and whatever else comes along. Flowing through all this is a concern for the future of the wild. I hope you’ll join in. What do you think this little fellow might be? I’m a writer, sailor and freebooting conservationist. 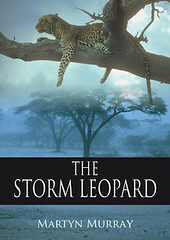 My first foray into travel writing, THE STORM LEOPARD, is just published. It took me across Africa along the back roads and into some out-of-the-way places where the best routes are along wildlife trails. I was born and brought up in Ayrshire, Scotland, went to school in Perthshire, and studied at the Universities of Edinburgh, Zimbabwe, Malaya and Cambridge for degrees in Zoology with research into the population regulation of shelduck at Aberlady Bay, the social biology of impala in the Zambezi Valley, the symbiosis between wild figs and their pollinating figwasps in the Malaysian forests, the evolution of male conflict in figwasps also in Malaysia, and the migration of wildebeest and community ecology of herbivores in the Serengeti, Tanzania. This diverse set of work has been anchored by a fascination with evolutionary theory – kinship, conflict and competition. These days I work principally as a conservationist particularly in Africa, central Asia and eastern Europe. 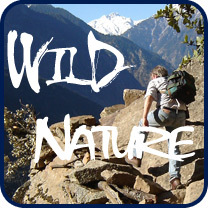 Most of my writing is in academic journals but I’ve also written for BBC Wildlife magazine and children’s nature books. I live in North Berwick, Scotland and have a grown-up daughter in San Francisco and a son in Edinburgh. If I were a human being I would like to be a person like you..
And if I were in a cartoon, I’d like to be a quirky character like you! 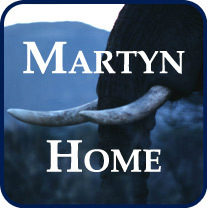 What an amazing story is yours, Martyn! I’d love to read your book! Btw , is that a baby wolf that you are holding in your arms? 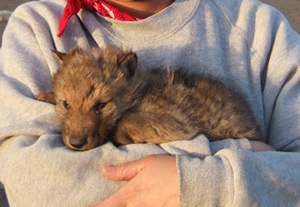 Well done Ruth – its a baby Mongolian wolf being held by Jargal – a Mongolian conservationist. Don’t ask me how we came by it. The Mongolians have a complex relationship with wolves. You can get some idea from Jiang Rong’s Wolf Totem. Thank you replying, Martyn!Too cute, the wolfy! (They are special to me too and Mongolia is special as well, love that country!) Have a great weekend!